Cherry Mobile Cubix Lite Now Official! A 5 Inch HD Entry Level Phone For 2999 Pesos Only! 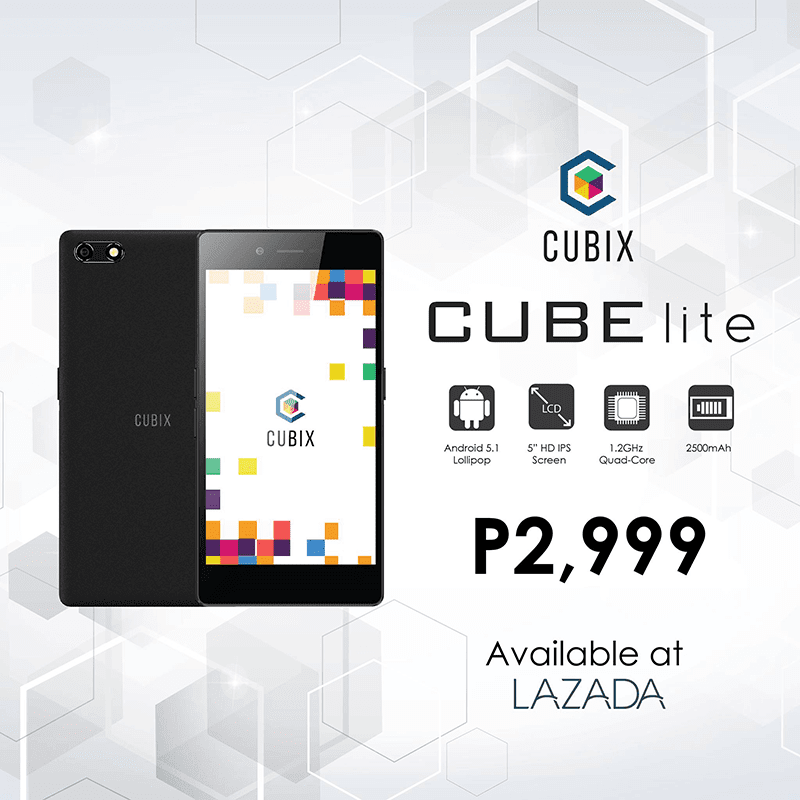 Home / cherry mobile / mobile / news / Cherry Mobile Cubix Lite Now Official! A 5 Inch HD Entry Level Phone For 2999 Pesos Only! Folks, if you're looking for an entry level phone that has good specs and an affordable price tag. Cherry Mobile together with Lazada Philippines has something special for you. They just officially announced the, Cubix Lite, the entry level handset with 5 inch HD screen, 1 GB of RAM, 8 GB of expandable storage and 2,500 mAh of quite large battery capacity today. Given those specs, this device should be good enough for most people that doesn't require heavy computing on the go. We'll try to get a hands on of this unit soon and report to you guys our experience.